Beautiful! Hope it becomes a daily gift. 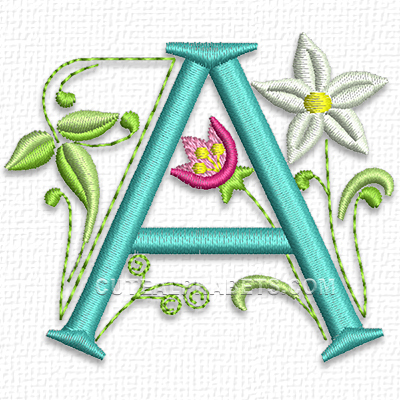 cj2sew- If you click on a letter as if to purchase, the sizes are given. K is the largest at 3.54" X 3.52" or 90mm X 64mm. W had the most stitches at 4500. Can we download this on subscription? How do you find out the size of each letter?